Hand cleaners are one of those things that you may use without giving much thought to. But it’s also one of those things that you can’t live without in the workshop. 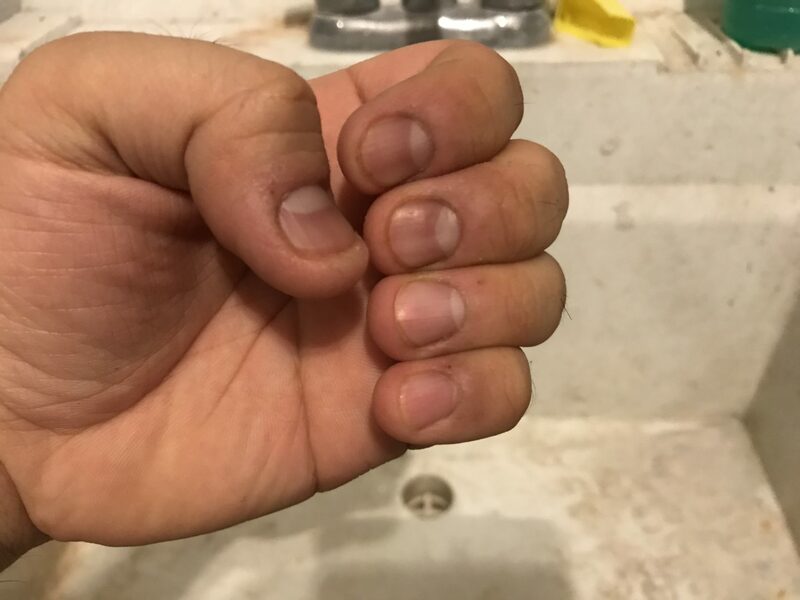 Without it, you’ll have a hell of a time cleaning all that dirt, oil, and grime off your hands and from under your fingernails. 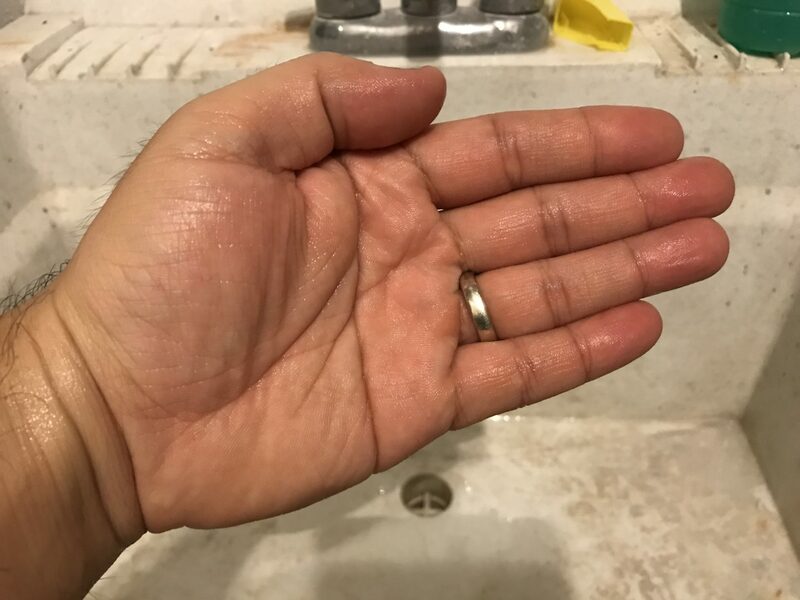 Using normal soap (and even dish soap) is not enough to cut through all that grime off your hands. You’ll need the scrubbing action from a pumice stone/soap or in this case, an easy to use liquid hand soap. 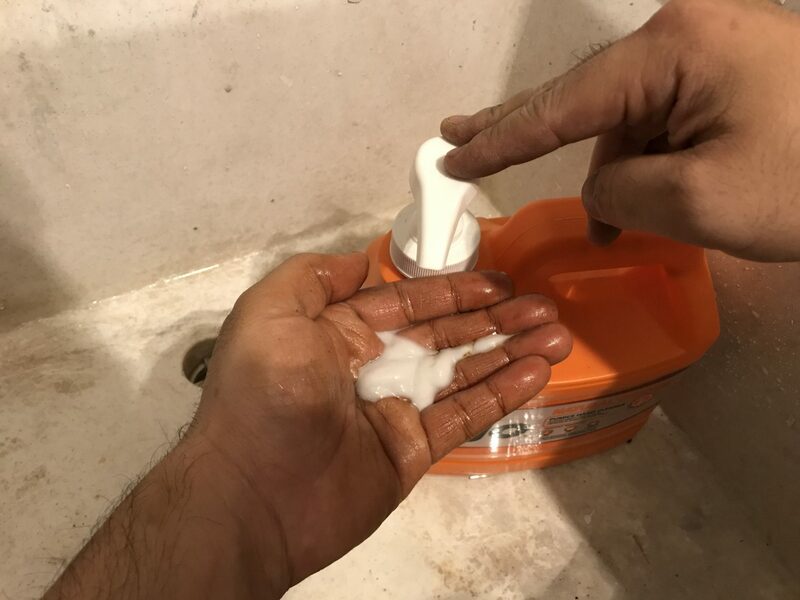 For the past few years, I’ve been using a hand cleaner made by Fast Orange which has served me quite well. However, that gallon finally ran out and I wanted to try Gojo Hand Cleaner for the first time. The Gojo Hand Cleaner is what you’d expect from a typical hand cleaner. It has the pumice scrubbing action that comes in a liquid form, which scrubs the hard-to-remove dirt/grime off your hands. I didn’t think much of the fact that it’s made to be a lotion hand cleaner, but it does appear to be softer on the hands. Right off the bat, I could tell it was a thinner texture than the Fast Orange hand cleaner that I used to have. 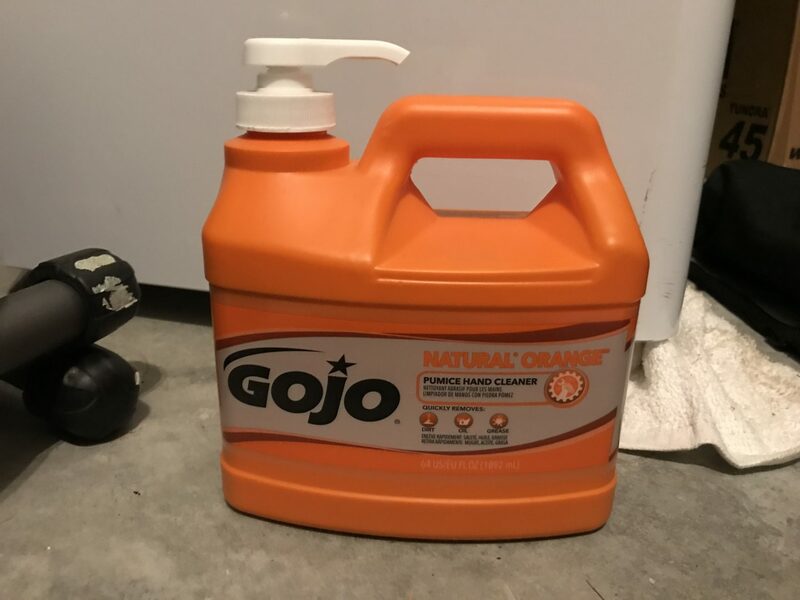 Compared to the Fast Orange cleaner, the Gojo hand cleaner seems less effective at removing the motor oil I had on my hands. I had to apply the Gojo cleaner twice to really get everything off of my hands. The thing about this hand cleaner is that it is less harsh on my hands. It seems to be a mix of half pumice cleaner and half lotion, which actually feels a lot less abrasive on your hands. 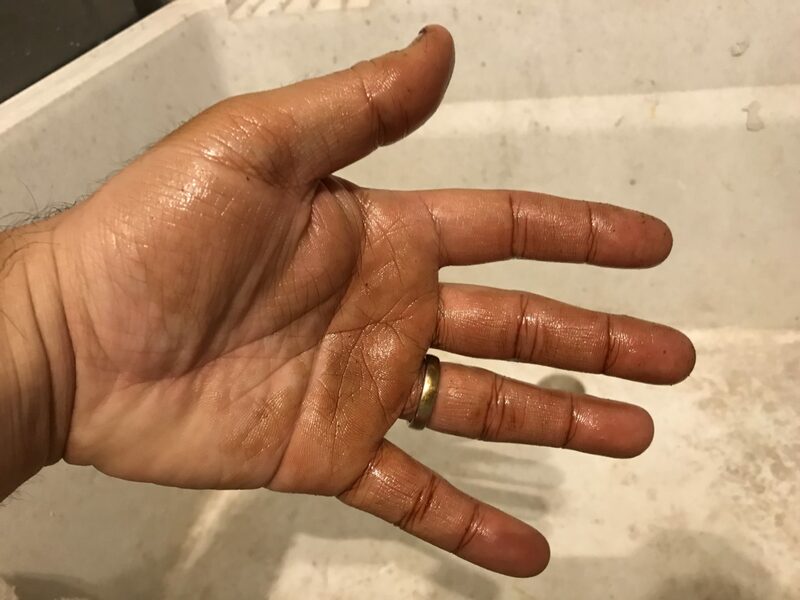 For dirtier and more oily hands, you may need to wash several times to get everything clean. On the other hand, if your hands are mildly dirty (not oily-type of grime), then one wash will do the job. After using it for the past month now, my hands don’t feel as roughed up as it used to with the more abrasive cleaner. I also don’t feel like I need to apply lotion afterwards like used to with my previous hand cleaner. 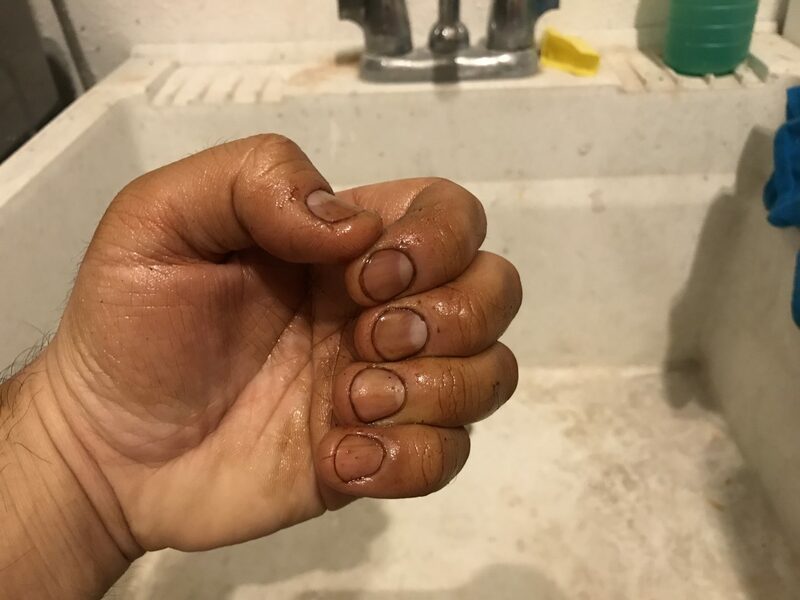 The Gojo Hand Cleaner works well enough to clean dirty hands, but it may require several washes to get the dirtiest of hands clean. Regardless, your hands will feel nice and soft afterwards, which is refreshing when using an pumice hand cleaner on your hands.